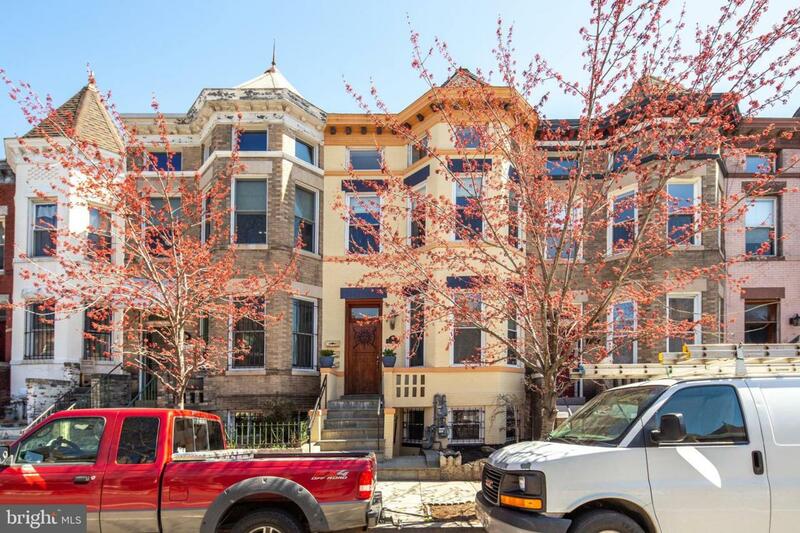 Modern renovations blend seamlessly with historic details in stunning row house condo in Columbia Heights. 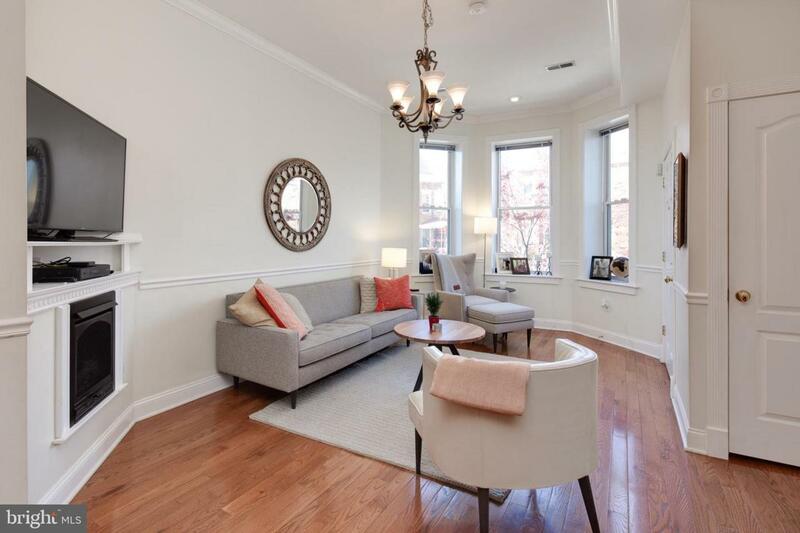 Bay windows, crown trim, exposed brick & hardwoods fill beautiful home with charm, while renovated kitchen, updated bath & gas fireplace offer modern amenities. Relax on private balcony shaded by a towering tree. Each bedroom has two large closets with organizers, & washer/dryer is included. 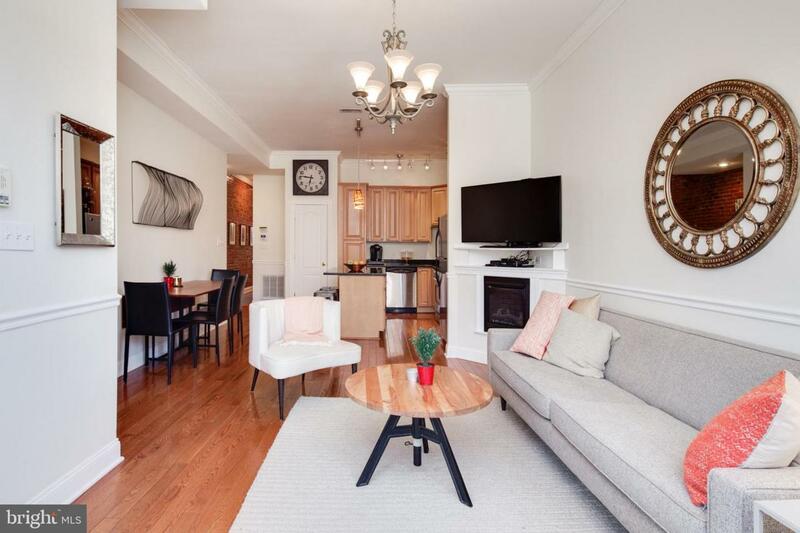 Dine at nearby Room 11, enjoy brunch at The Coupe or join friends for drinks at Meridian Pint. 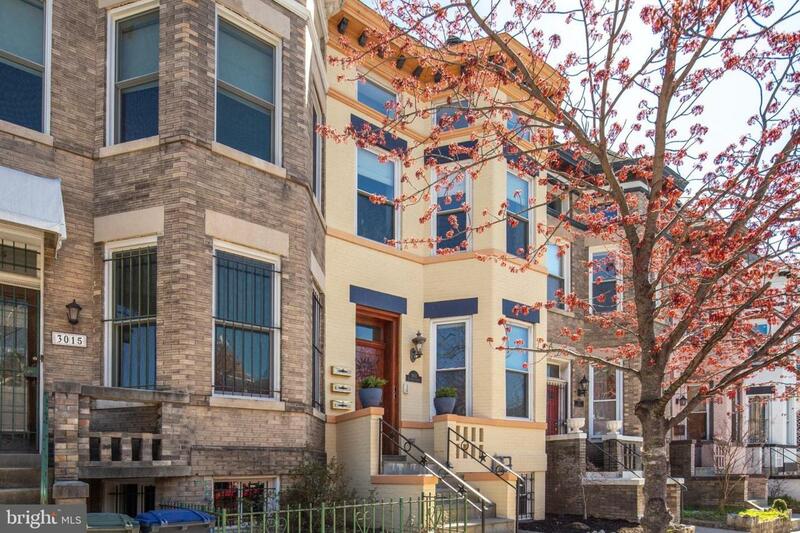 Fantastic neighborhood is near Target, Giant, Petworth & Mt. Pleasant.